This jeopardizes the money under the Kyoto agreement. 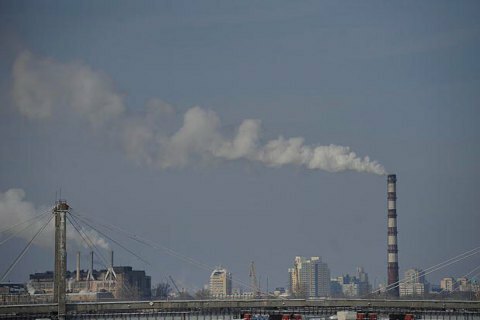 Ukraine for a year has not maintained the registry of greenhouse gas emissions, which is part of the nation's commitments under the Kyoto Protocol. The authorities simply forgot to pay the technical administrator of the company Softline, Liga.net reported on 19 July. Until 2015, the agreement between Softline was concluded with at the State Ecology Investment Agency, , but upon its liquidation, this function was transferred to the Ministry of Environment, which did not pay. This forced Softline to disable on 8 August, 2015 the online registry for greenhouse gas emissions. On 21 June, 2016 the UN experts concluded in Bonn that Ukraine did not fulfil its commitments under the Kyoto Protocol. The next meeting in Bonn in September may issue a formal decision on Ukraine's violation of its international obligations. To prevent this, Softline intends to restart the registry "on voluntary principles" and wait for the signing of the contract and payment. The company said the Ministry may transfer the registry to another hosting site. Ukraine sells quotas on carbon dioxide emissions to other countries, if it does not use them. The terms are governed by the UN Convention on Climate Change (Kyoto Protocol). Ukraine keeps the record of emissions in a special register and report at the annual meetings of the UN Committee. This information is used for the calculation of quotas. So far, the largest Kyoto deal that Ukraine has landed was an agreement about the purchase of quotas worth $ 800m from Japan. As part of the agreement, Japan has supplied Toyota Prius cars, currently used by the National Police.